A selection of beautiful sterling silver pendants, representing the 7 Primary Chakras. The science of Chakras comes to us through the ancient traditions of Yoga and Tantra. These teach us that chakras are spinning, wheel-like vortexes of energy, located throughout the human body. Indeed, the word “chakra’ is derived from ancient Sanskrit and literally means wheel. 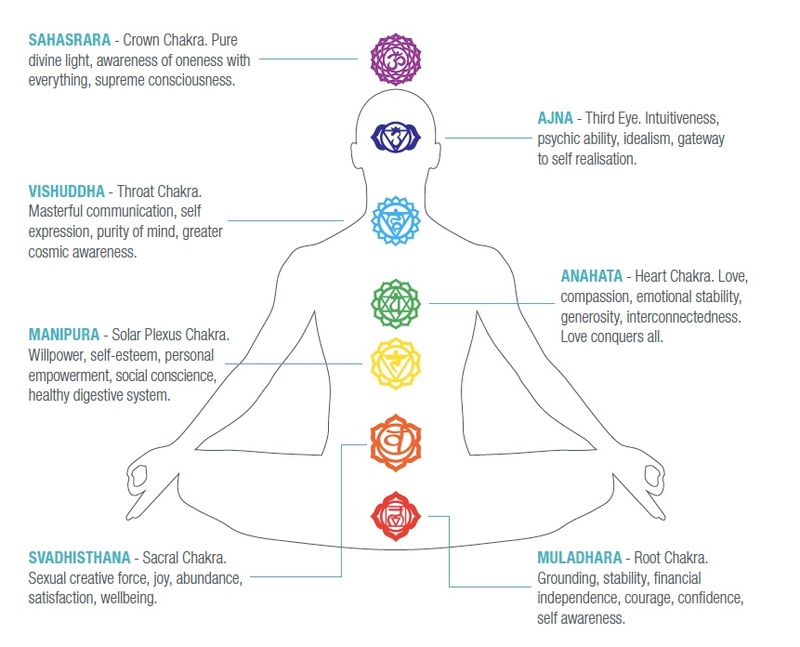 The 7 primary chakras are the ones of most importance. These are aligned along the spine, from its base through to the crown of the head. Chakras are not physically observable in the same way as the organs of the body - one couldn’t operate on somebody and see or touch their chakras. They belong, rather, to the subtle body, a non-material version of our selves, which integrates with and corresponds directly to our physical body. In our physical body, blood flows through veins and arteries, delivering oxygen and nutrients to the major organs and carrying waste products away from them. This process is mirrored in the subtle body, where instead of veins and arteries, energy channels called nadis act as the pathways through which prana flows. Prana (or chi) is the life force energy, which pervades everything in the universe. Prana is life itself, and where there is an abundance of prana, there is wellbeing and health. It is at the points in the subtle body where the nadis intersect that the primary chakras are located. Interestingly, these points all correspond with major organs, nerve centres and endocrine glands, which is no coincidence. Indeed, the chakras act as an interface, collecting and regulating the flow of prana and distributing it to the physical body through these related nerves, glands and organs. As the subtle body is also the seat of our emotions and psychological state, the connection between our psychological, emotional and physical wellbeing becomes apparent, all being linked to each other through the chakras. This is the key to a healthy body, mind and emotional state – the unhindered flow of prana through the chakras to the physical body. When all our chakras are open, active and in balance, we are healthy and filled with a sense of wellbeing and heightened awareness. In such a state, each chakra resonates at a specific frequency of energy, often represented by the seven colours of the light spectrum or seven notes of the musical scale. However when our chakras are blocked, we will tend to feel unwell and experience lower, negative emotions. Disease arises when our chakras don’t function efficiently, because prana no longer flows freely through our physical and subtle bodies. So, what causes a blockage in our chakras? It is usually past traumas, emotional injuries that have been left unresolved, negative learned beliefs and sustained exposure to a negative environment or emotional state. Even being in the company of negative people may cause our chakras to resonate with their negative energy, and if left unchecked, will drag our frequency down. Gradually, as the chakra ceases to function efficiently and prana is blocked, tension builds in it, which can actually be felt in the corresponding part of the physical body. Ones emotional state becomes more negative and eventually disease will manifest. To restore our chakras to health and balance, we must release the tension that has caused the blockage. Ultimately, we must release the negative emotions that caused the tension in the first place. This is a process of self-exploration and realization, and coming to terms with our true emotions. Only in this way can we put things into proper perspective and release ourselves from the emotional patterns that have been restricting us. - Yoga connects our body with our mind through specific movements, which often target the chakras, resulting in both a healthier body and increased self-awareness. - Yogic breathing techniques release tension in the body and open the nadis and chakras. - Meditating on a chakra, we endeavor to release all tension in the corresponding part of the body and allow the chakra to receive prana. - Eating healthy, natural foods promotes healthy flow of prana. Matching food colours with chakras may also encourage chakra balancing. - Carrying crystals or wearing crystal jewellery of a colour that corresponds to a particular chakra may help balance the frequency of the chakra, allowing it to open and receive the flow of prana. - Energy healing techniques, such as reiki, acupuncture and some massage may stimulate the flow of prana and help to unblock chakras. 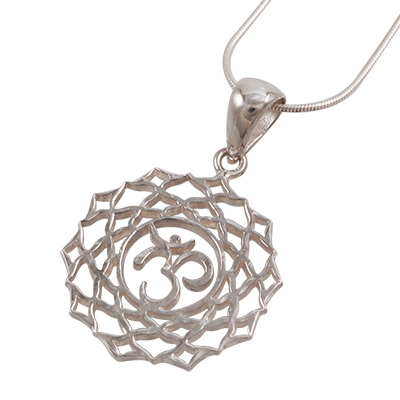 - The chakra pendants we provide were designed to act as a constant reminder to place focus on and relax the relevant chakra, to encourage opening and prana flow. 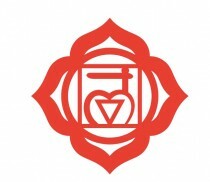 MULADHARA is known as the root chakra and is located at the base of the spine. Its colour frequency is red and its musical note is C.
Muladhara represents grounding to the Earth and connection with our physical body. It relates to instinct and survival – think security, stability and financial independence. A healthy root chakra is characterised by courage, confidence and self awareness. Muladhara is where we ground the life force energy in our body. SVADHISTHANA is the second primary chakra, referred to as the Sacral chakra. It is located 5cm below the navel in the centre of the abdomen. Its colour frequency is orange and its musical note is D.
Svadhistana relates to the element of water and represents our sexual creative force. It is the seat of our sexuality and our sense of abundance, satisfaction and wellbeing. 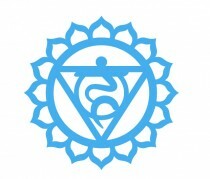 A healthy svadhistana chakra is characterised by an overall sense of joy and wellbeing and attractiveness to others. 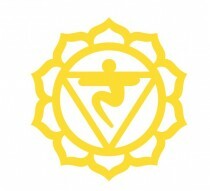 MANIPURA, or Solar Plexus chakra, is the third primary chakra, located at the solar plexus. Its colour frequency is yellow and its musical note is E. It is the fiery centre of willpower, where we get our determination and sense of direction in life. The solar plexus chakra governs digestion and metabolism, transforming our food into nourishment, which is distributed throughout the body as prana. 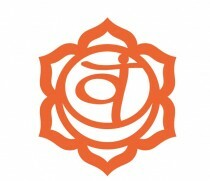 A healthy manipura chakra is characterised by a healthy digestive system, high self-esteem and personal empowerment. A strong manipura encourages social conscience. 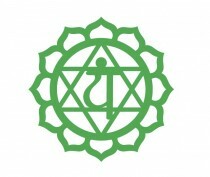 ANAHATA is the fourth primary chakra, located on the spine behind the heart and relates to the element of air. Its colour frequency is green and its musical note is F. Known as the heart chakra, it is the seat of unconditional love and compassion. 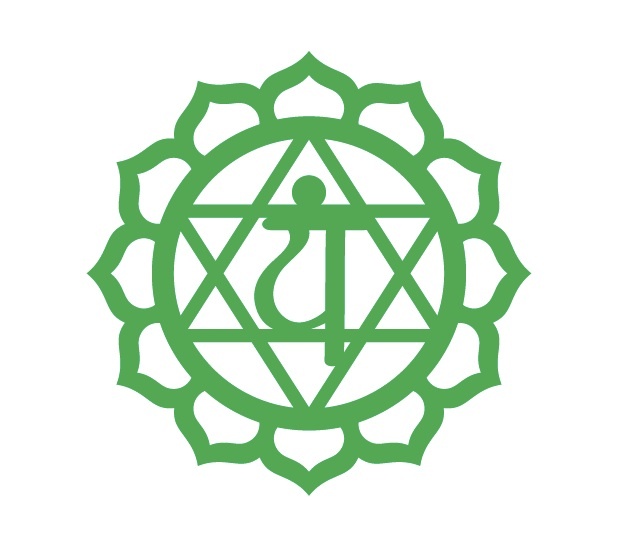 A healthy anahata is characterised by an awareness of the interconnectedness of everyone and everything and a sense of love, compassion, emotional stability, generosity and humility. The mere presence of a strong anahata chakra can influence the emotional state of those around us. Love conquers all! VISHUDDHA is the fifth primary chakra, located at the back of the throat, and relates to the all-pervasive element of ether. 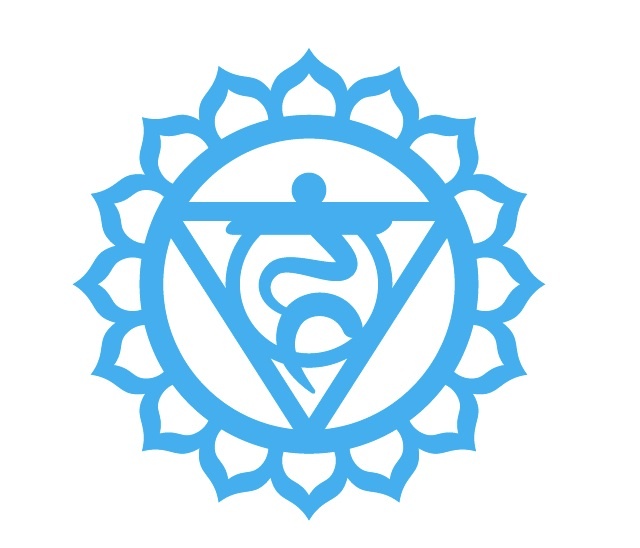 Its colour frequency is blue and its musical note is G.
Known as the throat chakra, it is the seat of communication and self-expression. This is the purification centre, which transforms negative experiences into wisdom. A healthy Vishuddha is characterised by masterful communication and purity of mind. When our Vishuddha is strong, our mind starts to come to terms with greater cosmic awareness. 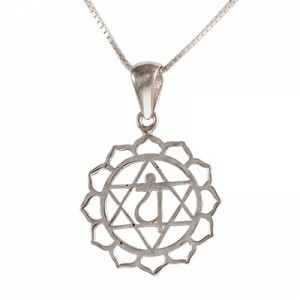 AJNA is the sixth primary chakra, located at the top of the spinal chord between the eyebrows. Its colour frequency is indigo and its musical note is A. This is the famous Third Eye, the centre of all intellect including psychic talents like clairvoyance and telepathy. An open and healthy Ajna chakra is characterised by a sense of idealism, greater intuitiveness and sharpened psychic abilities. Ajna is the gateway to self-realisation. 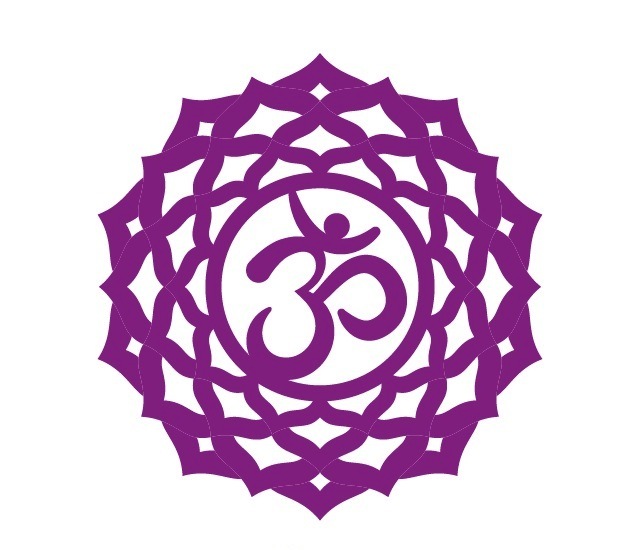 SAHASRARA is the seventh primary chakra, known as the crown chakra and located at the top the head. Its colour frequency is violet and its musical note is B. Its element is pure, infinite divine light. 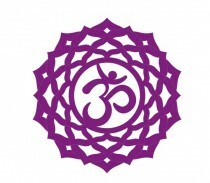 The Crown Chakra represents the uncreated creator – the ultimate source of everything. An open Sahasrara is a mystical experience. It is the awareness of oneness with everything. At its highest, it is the attainment of supreme consciousness. 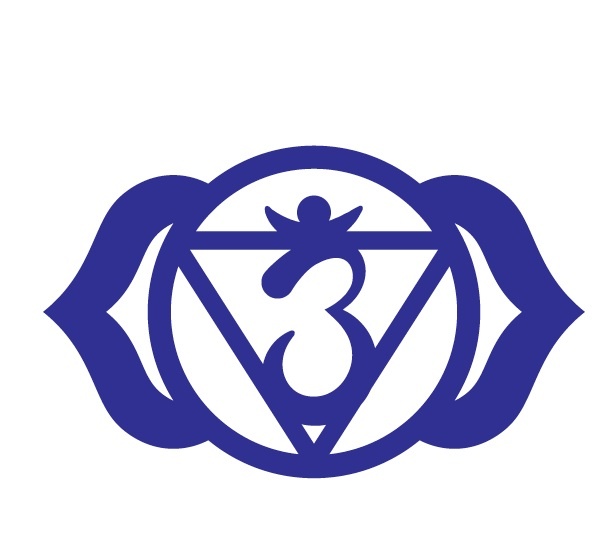 Blue Turtles’ Chakra pendants are beautiful pieces of jewellery in their own right, made all the more special because their form is true to the essence of the ancient yogic chakra symbols. You can wear the chakra pendant that resonates the most with what you feel you need to work on, or invest in the whole set. 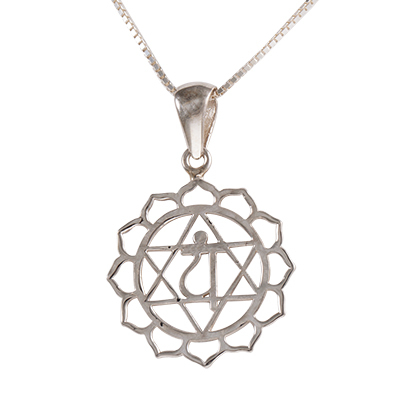 View the chakra pendant collection in our Sacred Symbols online catalogue here. Disclaimer: This article is written as a basic guide to chakras, based on beliefs originally derived from ancient Yogic and Tantric teachings. You are encouraged to do your own, in-depth research to determine whether chakra work is for you, and how you wish to approach it.